MIDDLEPORT — A Cincinnati man is facing drug charges after a search of a residence in Middleport where a child was reportedly “accidentally stuck” with a syringe. 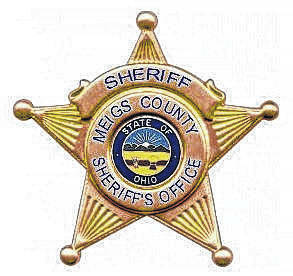 According to a news release from Middleport Police Chief Bruce Swift, the Meigs County Children’s Services Agency received information on Friday of drug abuse allegedly going on inside of a residence in the village of Middleport. The alleged drug use was occurring around two children inside of the home, where one of the juveniles was reportedly accidentally “stuck” with a syringe. An investigation into the information received was conducted by an Investigator with Meigs County Children’s Services and the Meigs County Prosecutor’s Office. As probable cause was developed it was discovered that a male from Cincinnati was staying inside of the residence, allegedly selling large quantities of methamphetamine, heroin, and marijuana. The Major Crimes Task Force of Gallia and Meigs Counties along with the Middleport Police Department, Meigs County Sheriff’s Office, and Meigs County Prosecutor’s Office executed a search warrant at a residence located on South Second Avenue in Middleport. Officers located multiple individuals inside of the residence who were detained for questioning. Arrested at the scene was Antonio Ricardo Foster, 34, of Cincinnati after officers reportedly located approximately 10 grams of suspected methamphetamine, a small amount of marijuana, and an undisclosed amount of cash on Foster’s person. Foster was going by the street name of “Fifty”. Charges have been filed on Antonio Ricardo Foster for Possession of Drugs through the Meigs County Court. The Major Crimes Task Force will consult with Meigs County Prosecuting Attorney James K. Stanley for further charges in this case.